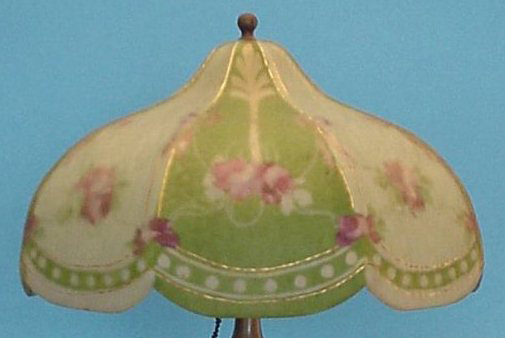 This is a type of Pairpoint lamp shade known as a Murano shade. The border is scalloped with six different sections. These lamps are all reverse painted.